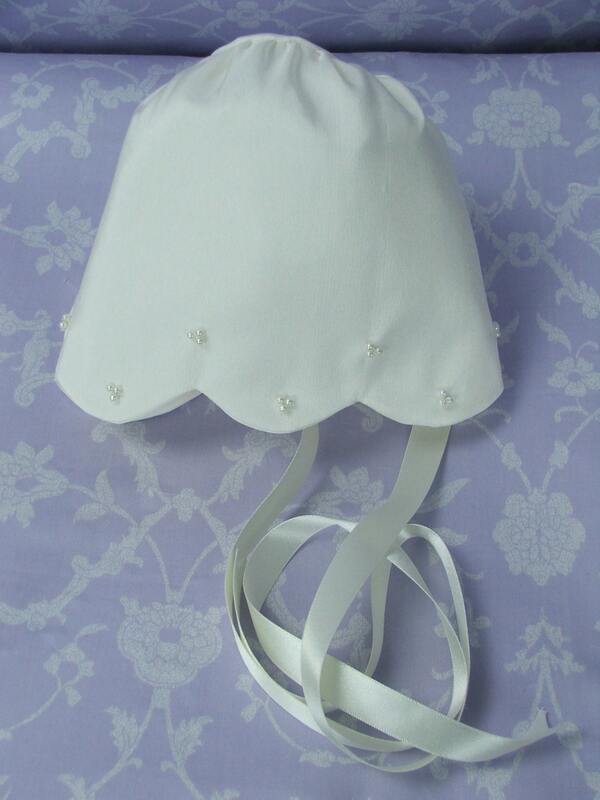 This bonnet matches any of our gowns that feature beading. 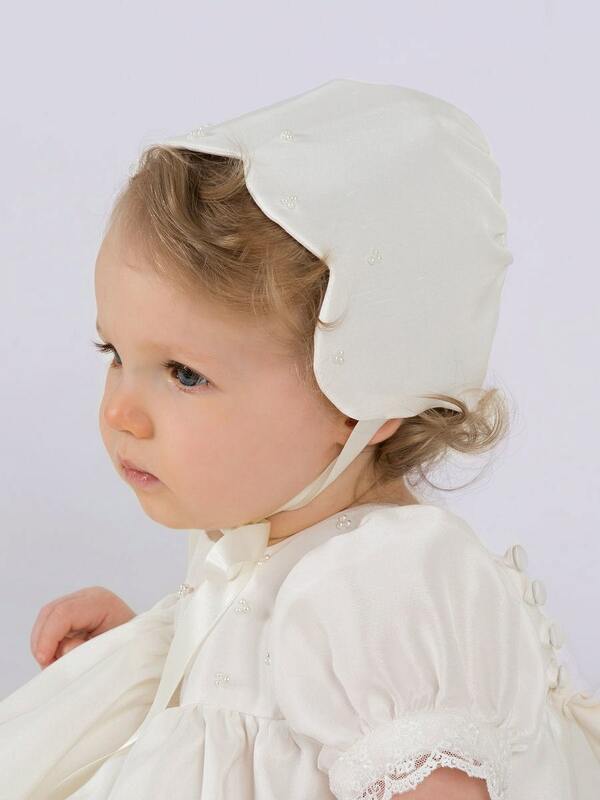 We have used the scalloped profile and added the scattered triple bead feature from our Charlotte and Sophie gowns to make this bonnet so appealing. 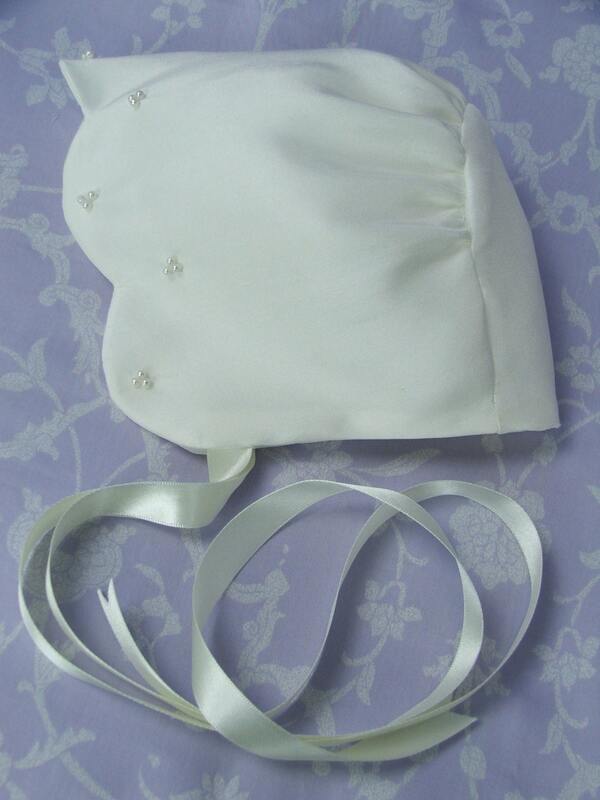 This simple bonnet matches any of our gowns. Fully lined and with Satin ribbons for tying the bonnet. Great customer service and extremely fast shipping! Quality of the bonnet is excellent. I purchased the Charlotte gown with all its accessories after finding this bonnet whilst searching on Etsy. I absolutely fell in love with it the first time I saw the picture. In my view, this bonnet epitomises elegance and minimalism alongside the good craftsmanship and quality of English tailoring. I am extremely pleased with Rachel's communication throughout and her good knowledge of sizes for little people and how quickly they grow. I decided to request a cape on Charlotte style (tripple beaded silk) which is not listed and Rachel was prompt and speedy in my request so it would be ready on time! It was just beautiful, so skillfully made, and looked perfect on my niece. The packaging and care instructions were really thoughtful as well. Thanks so much!